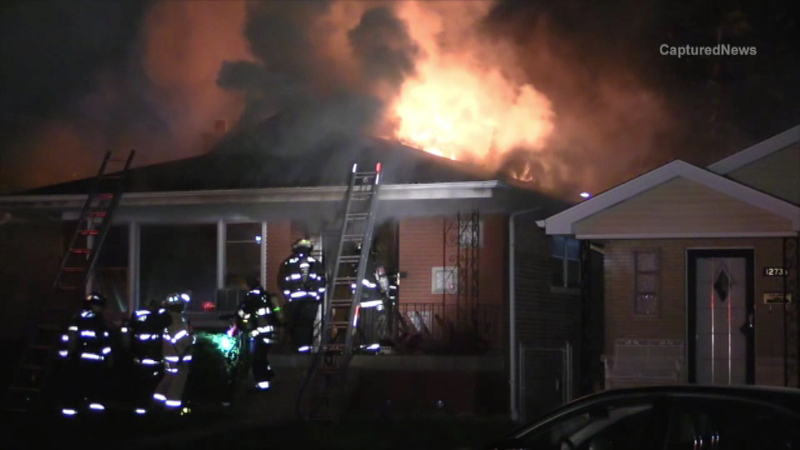 CALUMET PARK, Ill. (WLS) -- No one was injured in a house fire in south suburban Calumet Park overnight at 128th and Justine, fire officials say. Firefighters put out the fire early Saturday morning. The fire started in the back of the building and then spread to the roof, fire officials said.